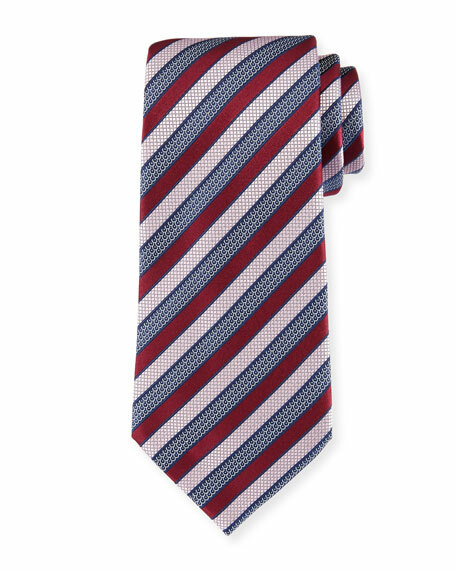 Ermenegildo Zegna tie in tricolor mixed-pattern stripes. Approx. 58"L; 3.4" at widest. For in-store inquiries, use sku #2159110. 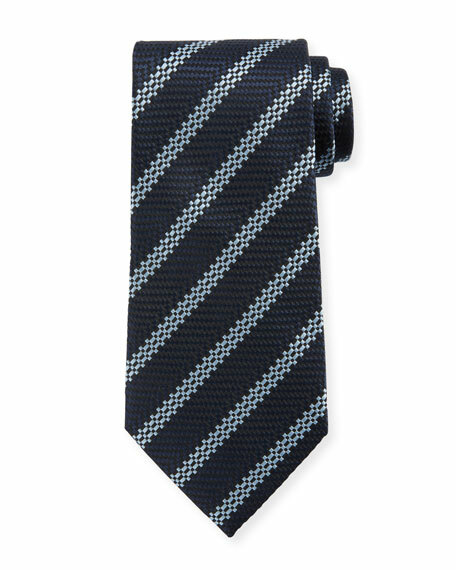 Ermenegildo Zegna tie featuring chevron stripes. Approx. 57"L; 3.5" at widest. Silk; dry clean. Made in Switzerland. 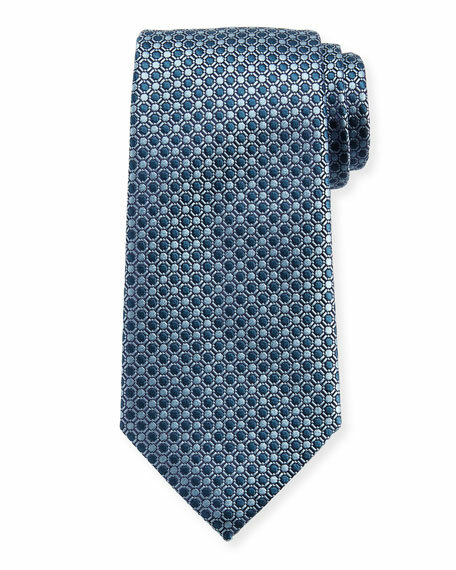 Ermenegildo Zegna tie in connected circles pattern. Silk; dry clean. Made in Switzerland. Exclusively ours. 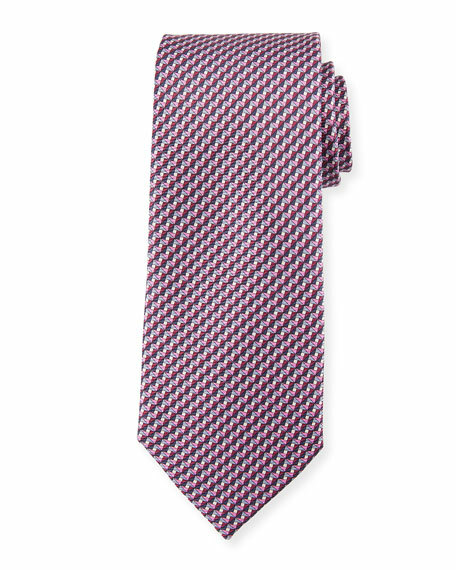 Ermenegildo Zegna tie featuring textured stripe pattern. Approx. 57"L; 3.5" at widest. Silk; dry clean. Made in Italy. 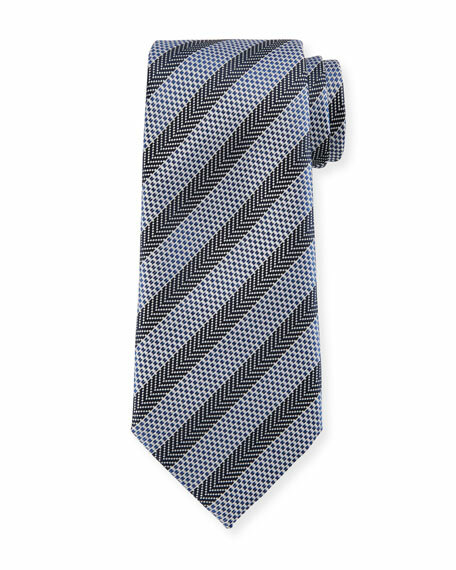 Ermenegildo Zegna tie featuring printed stairs motif. Approx. 3" at widest. Silk; dry clean. Made in Switzerland.